Update at 2:45 p.m. — The base’s public affairs office released the following statement Wednesday. 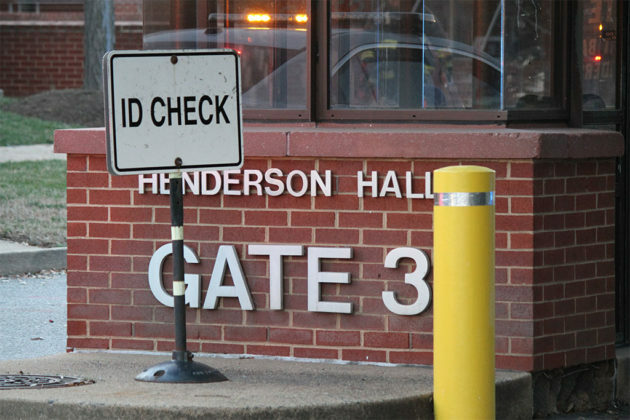 The Joint Base Myer-Henderson Hall Feb. 27 incident where 11 personnel began feeling ill after a letter was opened on the Marine Corps side of the base remains under investigation. NCIS and the FBI are conducting the joint investigation. 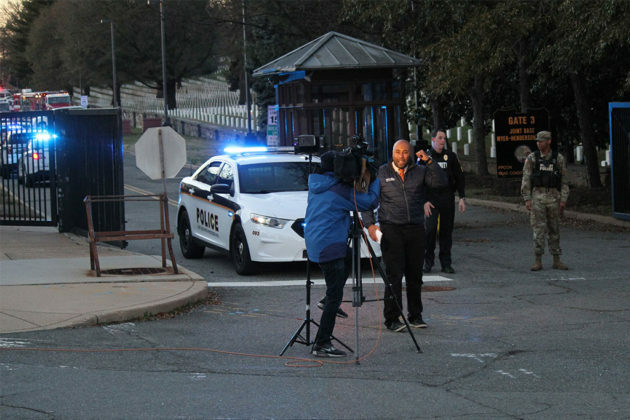 The three Marines who were transported for additional medical evaluations were released from the hospital at approximately 10 p.m. last night. This office will continue to provide updates as they become available. 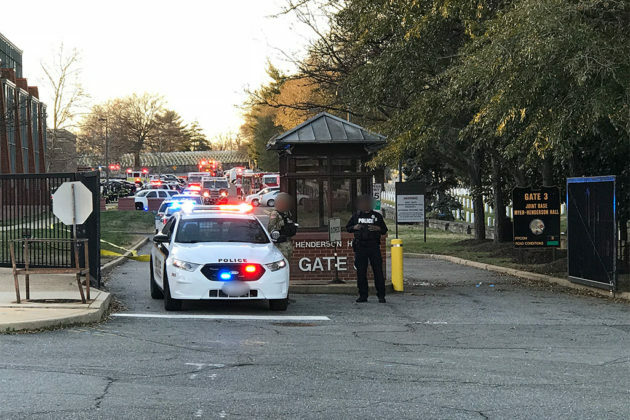 Earlier: Firefighters, paramedics and law enforcement responded to Joint Base Myer-Henderson Hall Tuesday afternoon for a hazmat situation involving an unknown substance that was mailed to the base. 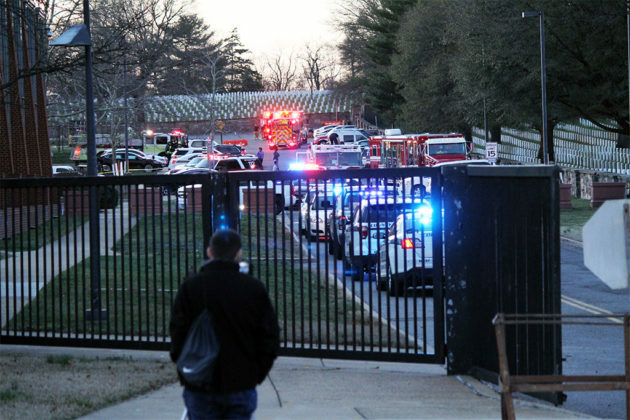 Firefighters were first called to Henderson Hall, the headquarters of the U.S. Marine Corps, just after 4:30 p.m. for a hazmat incident. 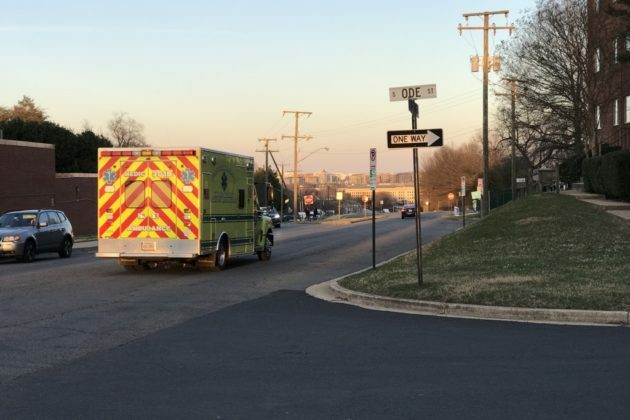 Ft. Myer, Arlington County and Alexandria firefighters and hazmat units were dispatched to the scene, as was an “EMS task force” that is usually dispatched to mass casualty incidents. 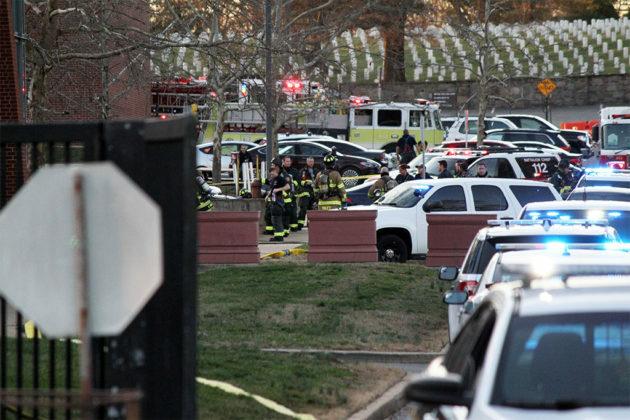 Initial reports suggest that a certified letter was opened in one of the buildings and that it contained some sort of potentially hazardous substance, prompting an evacuation of the building and the deployment of an emergency decontamination station. 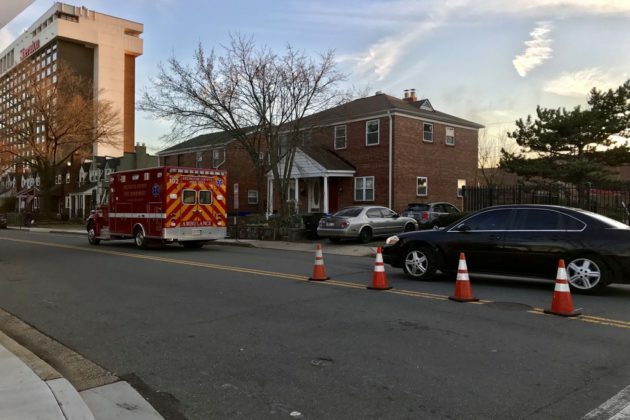 Eleven people were treated for symptoms and three were transported to the hospital in stable condition, according to the Arlington County Fire Department. Symptoms included a nose bleed and a burning sensation, according to initial reports. A Marine Corps official released a statement saying that the victims were Marines. 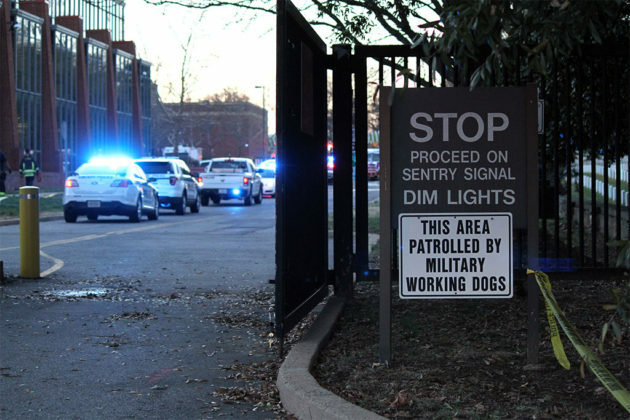 With the help of the local hazmat teams “the building was screened and cleared, and the letter was removed,” the Marine Corps said late Tuesday. The FBI and Naval Criminal Investigative Service (NCIS) are now conducting a joint investigation. 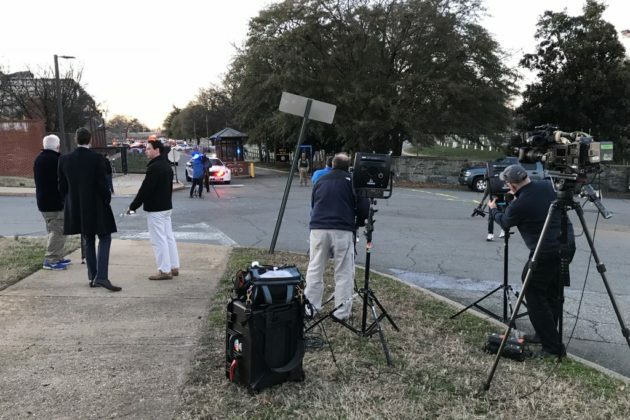 National news media, including major television networks, gathered outside of the base in Arlington’s Foxcroft Heights neighborhood to report on the story. 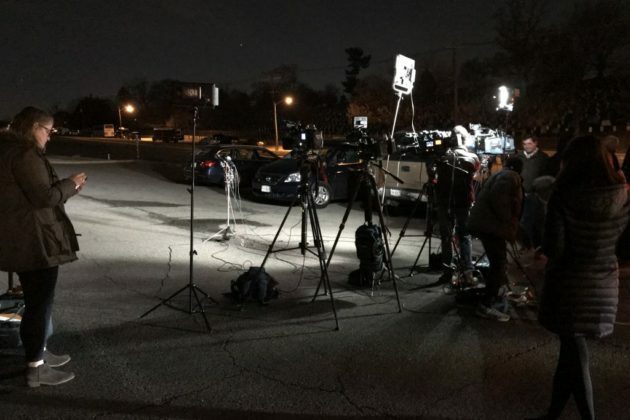 A press conference to be held outside the base was later cancelled. No reason was given for the cancellation. 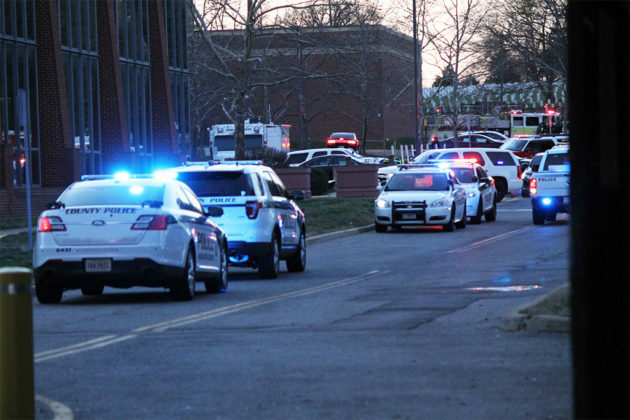 During the incident police closed off the road near the entrance to Henderson Hall, at the intersection of S. Orme Street and Southgate Road. Our Hazmat Team members and Aide 215 are assisting @FortMyerFire and @IAFF2800 Firefighters on a Hazmat Incident at the Fort Myer Base.